Move over, Steve. Alex is here to dig some dirt. 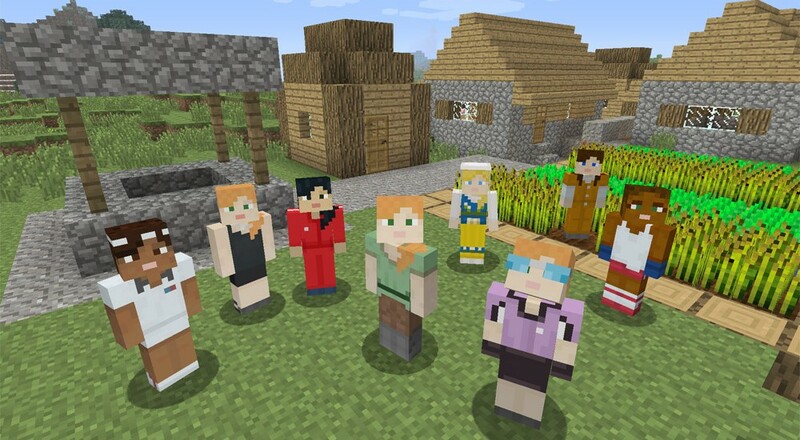 The Xbox and PlayStation versions of Mojang's sandbox adventure game Minecraft will receive an array of new content as part of a free update deploying this week, including a new character skin that swaps in an alternate protagonist. The red-haired, ponytailed "Alex" will emerge as a playable character this Wednesday, arriving as an alternative to Minecraft's stubbly hero Steve. PlayStation 3 and PS4 players will also get access to the formerly Xbox-exclusive The Simpsons character pack as part of this week's update. Port developer 4J Studios will additionally resolve the disparity between unlockable achievements on Xbox platforms, revealing that it will add 30 new achievements to the Xbox 360 edition of Minecraft on Wednesday. The Xbox 360 version will also get "a bundle of new music tracks" from composer C418 this week, bringing it up to speed with other console ports. Page created in 0.4371 seconds.